At convocation, our superintendent, Dr. Jeffrey Moore, spoke about the upcoming school year and the goals for the district. One part of his presentation included his insights into Greg Satell’s “innovation matrix” and how it can be applied to work we do in education. Those of us in the field know that we are often innovating, always evolving. If you compare your first year teaching to your current practice, you can probably spot some obvious (and perhaps embarrassing) differences! We need to constantly adapt our practice to meet our students’ needs and to help them develop skills like flexibility and resilience. 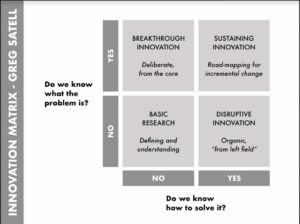 But what Satell’s matrix demonstrates is there are different types of innovation, and they are all important. Of course, it got me thinking about the ILP, both as an innovative model for teachers but more importantly as a tool to help students innovate. Because if that’s what we’re expected to do as adults, then that’s what we need to help our students achieve. Dr. Moore’s version of the matrix asks “Do we know what the problem is?” and “Do we know how to solve it?” When students first start down the learning path, they haven’t defined their problem and they haven’t developed the skills to develop a solution, so the work they’re doing falls under the heading of “Basic Research.” The title’s vocabulary makes sense, since you’ve gotta situate yourself before you can make any decisions. Since we’re only a few days into the school year, this is where my students currently are. My sophomores are studying issues in education so we’re starting just by defining what a “good” school is and determining whether or not our school fits the criteria we develop. 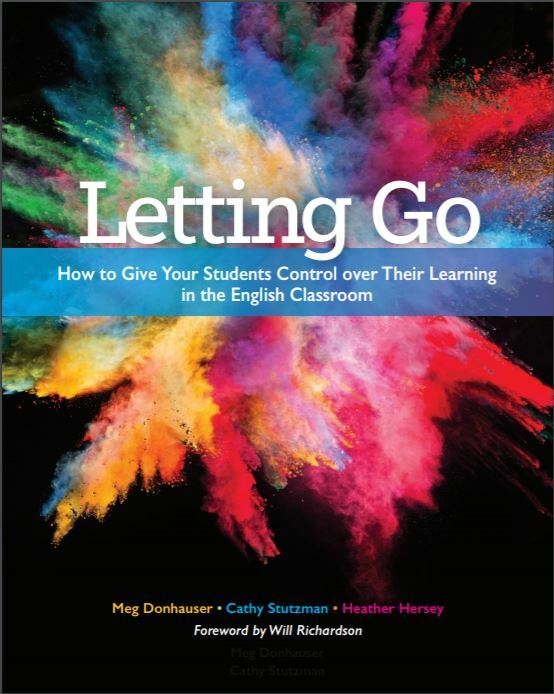 Nothing new develops out of a vacuum so our first step is to always help students determine where are they now in order to move them towards different types of innovation. Students who use the ILP or its practices will begin to move to “breakthrough innovation” as they study the various aspects of a topic they want to explore. Thinking back to who I was as a new teacher, I often had my students stop here. They knew everything they reasonably could about a problem and maybe researched solutions that others suggested. But what Dr. Moore encouraged, and what the reflection and So What? sections of the ILP can accomplish, is that students are provided opportunities to solve “real-world” problems, to be able to go out into the community and help with issues directly, rather than just writing about them in English class. When they learn to develop solutions rather than just report them, they develop the skills to tackle all of Satell’s types of innovations. What’s crucial, and what I believe Dr. Moore wanted us to take away, was that it’s not necessarily about having our students design something brand new and revolutionary (though that’s certainly a goal too! ), but it is about giving kids the space to do “deliberate” learning that at least mimics the innovation they will do as adults. My unit on education evolves a bit each year, and I know that when my 15-year olds with limited life experience develop solutions to their education problems, they may not seem very innovative. But the solutions are innovative to them and the skills are now there to help them the next time they are tasked with defining a problem and designing a plan for improvement. It’s definitely my goal this year to help kids move towards being more innovative, but I know that the kids who’ve used the ILP during my last eight years of teaching have already practiced innovating, because they’ve developed skills like asking questions, synthesis, and reflection. How do you plan on helping your kids become innovators this year?